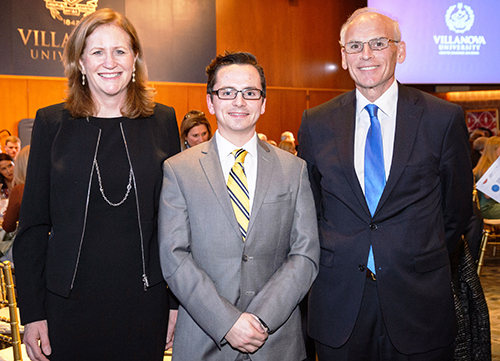 John Eyre, a Villanova University Law School student, has been named a Lurio Scholar. Lurio & Associates, P.C. is honored to have been selected as the 2013 Commercial Law Firm of the Year in the Commonwealth of Pennsylvania by Corporate INTL Legal Awards. Corporate INTL is an international magazine for business leaders, professional advisers and providers of finance. In considering potential candidates, an independent team from Corporate INTL created a short list of firms based on service range, business type, geographical location and the types of services provided in their respective regions. Winners are selected from that list by an independent panel consisting of senior members from a global law firm, an international accounting firm, a global legal network and an international business, as well as an in-house lawyer in a regional business and the managing editor of Corporate INTL Magazine. 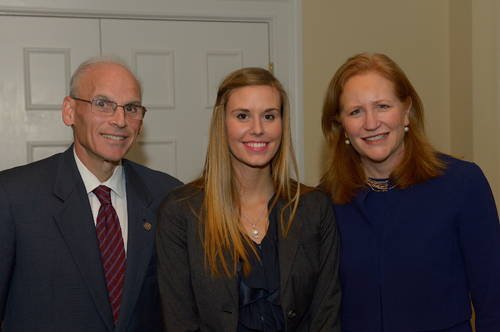 Kristen Helmers (center), a first-year-student at Villanova Law School, has been named a Lurio Scholar. Doug and Margaret Lurio recently recognized Kristen. The Lurios are graduates of Villanova Law School and established the scholarship in 2011 in recognition of the 20th anniversary of Lurio & Associates. There will be a fundamental change in the manner in which an issuer can raise funds in private placements of securities conducted under Rule 506 promulgated under the Securities Act of 1933 (the “1933 Act”). Under current law, the issuer or anyone acting on the issuer’s behalf is prohibited from engaging in general solicitation or advertising when raising funds in a Rule 506 private placement offering. The Jumpstart Our Business Startups Act (the “JOBS Act”) enacted on April 5, 2012, requires the Securities and Exchange Commission (the “SEC”) to eliminate the prohibition against general advertising or solicitation currently contained in Rule 506, provided that all purchasers in the offering are accredited investors.